Soy Sauce Factory will initiate its November cinema cycle showing the work of the Cohen Brothers. 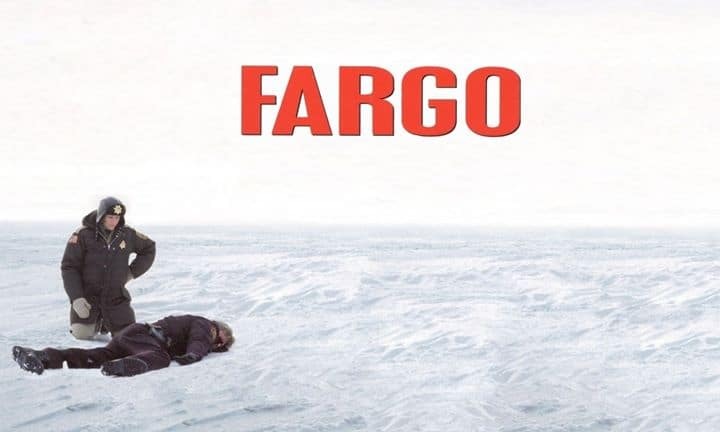 Fargo is an American dark comedy crime thriller film written, produced, edited, and directed by Joel and Ethan Coen. It stars Frances McDormand as a pregnant Minnesota police chief who investigates a series of local homicides, and William H. Macy as a struggling car salesman who hires two criminals to kidnap his wife. The film also features Steve Buscemi, Peter Stormare, Harve Presnell and John Carroll Lynch. The film earned seven Academy Award nominations, winning two for Best Original Screenplay for the Coens and Best Actress in a Leading Role for McDormand. It also won the BAFTA Award and the Award for Best Director for Joel Coen at the 1996 Cannes Film Festival. Free entrance. Come enjoy a grand format projection of this amazing cinematographic piece in our art space. We will take a short entr’acte in the middle of the film for everyone to enjoy FREE CREPES freshly cooked..! The bar will also be open: Wine, beer, cocktails, softs will be available.